My first underwater photography trip to Fiji was in 1992. 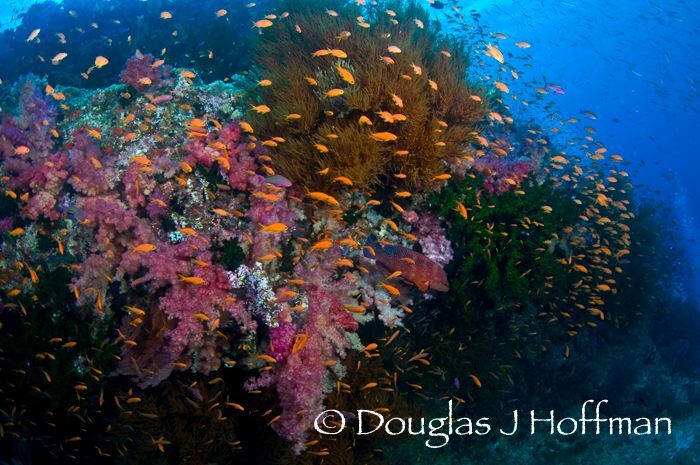 I was blown away by the colorful soft corals and schools of tropical fish. Since then I have been back a half dozen times, each time staying at a different resort. I have enjoyed a variety of great accommodations and diving. 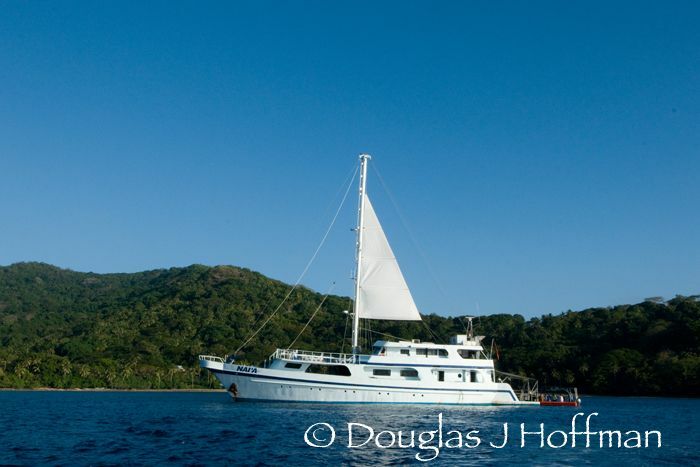 In October of 2009, I returned to Fiji, but this time I went on a 10 day live-aboard trip on Na'ia. Over the course of the charter, I experienced better diving than on previous Fiji trips. Many of the sites the Nai'a goes to are frequented by nobody else. 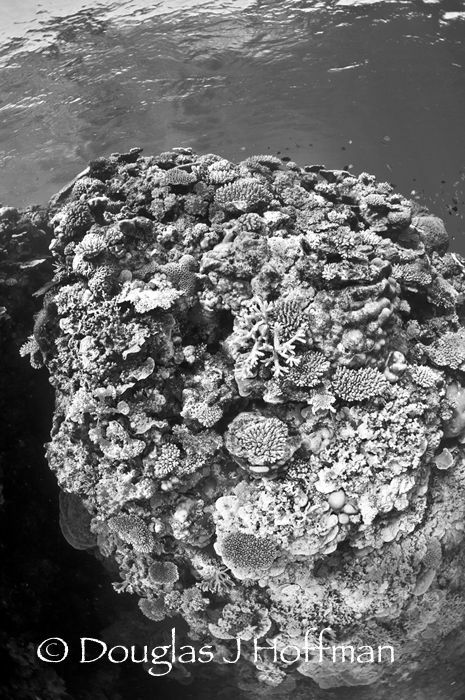 To a small degree this is due to the fact the Nai'a can travel and get to remote areas, but for the most part it is because the boats owners Rob and Alexx have spent years exploring Fiji waters, and as a result have discovered a lot of dive sites. Many of these sites are submerged pinnacles that require a GPS heading. Over the course of the trip, we traveled quite a bit and enjoyed diving the areas referred to as Bligh water, Namenea Marine Reserve, and Gau. 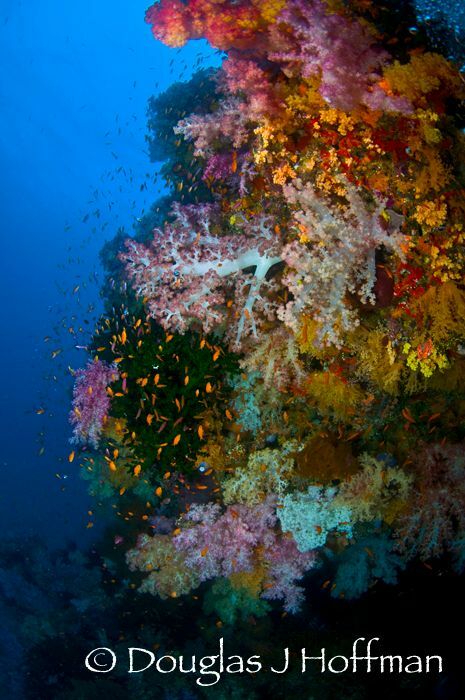 Great Diving Sites in Fiji. 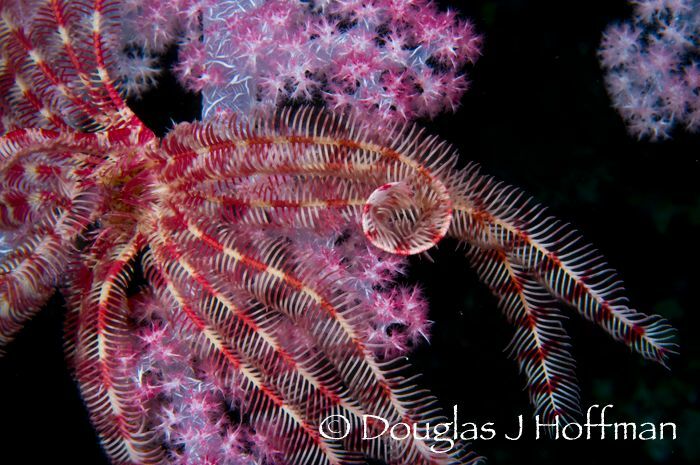 Underwater photos in this article were taken with a Nikon D300, Nexus underwater housing, dual Ikelite DS-160 strobes, and either a Tokina 10-17mm fisheye or Nikon 60mm macro lens. Some of my favorite dive sites were: Nigali Passage, Mount Mutiny, Cats meow, E-6, Humann Nature, North save-a-Tak, South Save-a-tak, Tetons, Mushrooms, and Two Thumbs up which to me was one of the best sites of the trip. It featured two pinnacles that were steep and small. Every inch was full of life and color. It was like candy for the divers eye. A feast to the eye. Nudibranch in Fiji. F25, 1/200th. The sites are also as diverse as their names. Some featured macro animals and others had a pack of small gray reef sharks on patrol, Great Hammerheads cruising the drop offs, pelagic mantas, barracuda, jacks, anthias, gorgonians, black coral, whip coral, and every reef fish imaginable. Each day we experienced new topography and over the course of the charter we dived on a wreck, several huge reefs, small and large pinnacles, bommies, patch reefs, slopes, channels, walls, and sand. Out of 43 dives there was only one that was average. It was a night dive in the sand and there was a bit of sea grass growing. 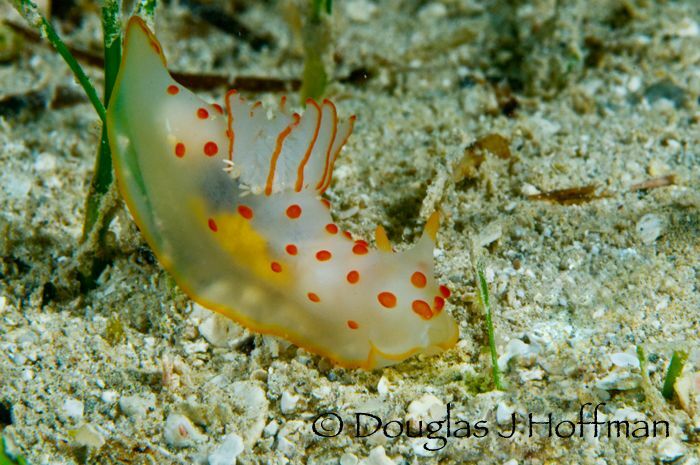 I spent the dive looking for animals in the grass and finally found a very cool looking nudibranch. The dive briefings were detail oriented and chocked full of good information about currents, habitats, known photo opportunities, and special animals to look out for. 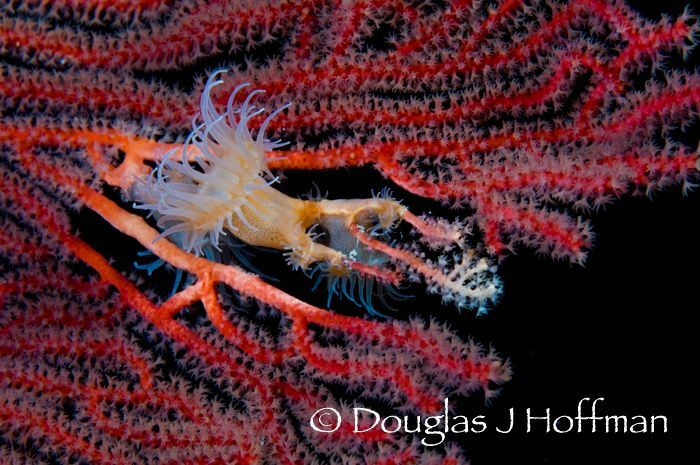 I found the descriptions and maps very helpful because sometimes I wanted to know where to look for specific behavior or habitats, black coral, gorgonians, or cleaning stations. Since I had not dived these areas before, having an idea of where to look saved a lot of time. 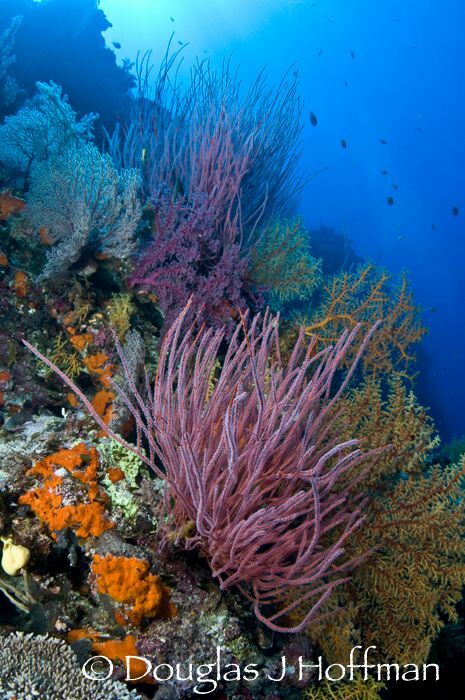 Fiji, while known for soft corals, has hard coral gardens that are thriving and in my opinion rival world class destinations like Papua New guinea, Indonesia, and Palau. Looking back it would have good to spend more time enjoying the hard corals but at the time I was captivated by the huge clouds of anthias. There is just something about those fish that captures my imagination. 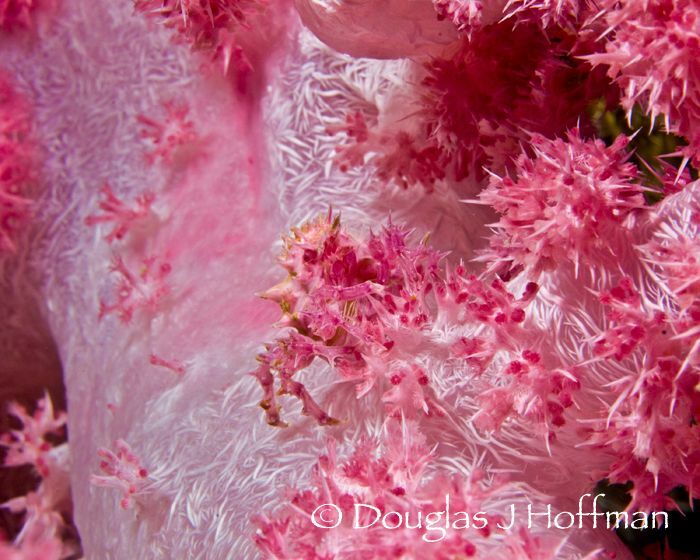 Soft coral and featherstar, taken at F29. Their were 15 divers on the trip I was on. Each had a different level of experience. Most had great buoyancy skills but two did not. The dive crew found a way to help those divers improve their skills without making them feel bad. Safety was never an issue and the dive tender drivers were excellent. I never floated on the surface for more than 3-4 minutes after a dive before being picked up. 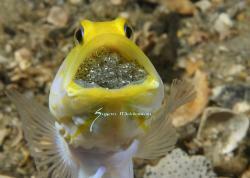 Before and after each dive there was always something to eat. On the third day, I could not resist the smells coming from the kitchen and asked the chef what he was making. Turns out, it was the crews lunch. The chef explained that the crew liked to eat a lot of hot curry and that did not always go well for the guests. So they prepare an international style menu for the guests and make separate crew food. The kitchen staff and serving crew appreciated my interest, and at lunch brought me a taste of a lamb curry. It was awesome. As they saw I liked the local food, for the remainder of the charter our hostess asked me each day if I would like a taste of the crews food. I just love that attention to detail. It means the crew cares and loves what they do. Thats one of the special things that makes the Nai'a so unique and special. That does not mean there were never issues. 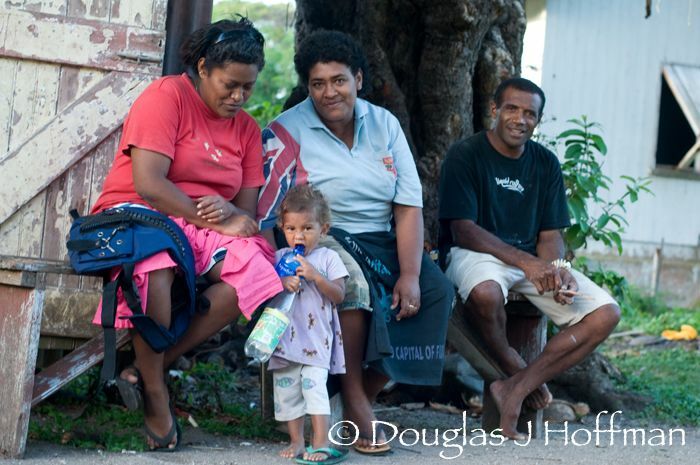 Even a big boat like the Nai'a, can be a small place if the people onboard are not in harmony. For example, when couples have an argument everyone knows. 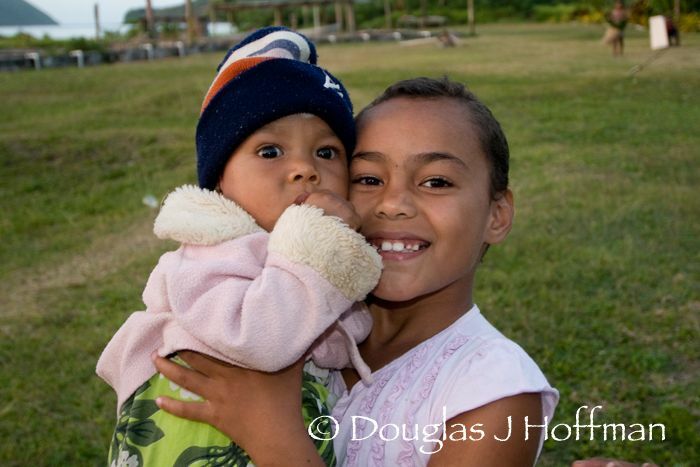 The fact is every charter on a live-aboard has people with different kinds of backgrounds. Some guests are quiet and others are not. It was great to see the crew go with the flow and when a situation arose that needed attention they handled it in an appropriate manner. 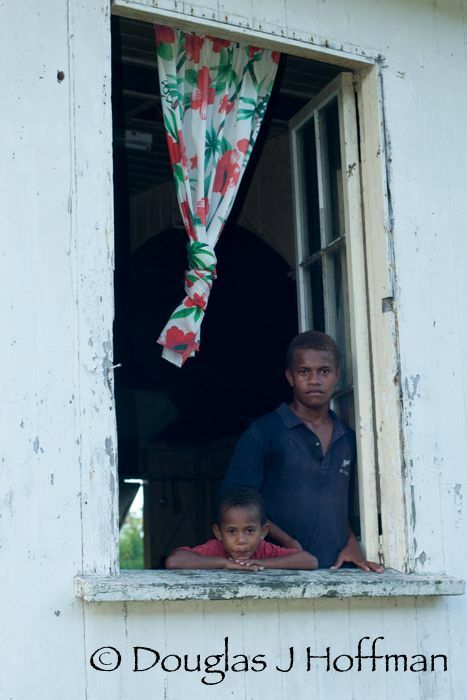 It has been 6 months since going on the Nai'a cruise and I have had time to compare my land based Fiji experiences to that of going on the Nai'a. I came to the conclusion that both have their advantages. Land based resorts offer tree house accommodations, private bures, picnics on isolated beaches for families and couples, fine dining, incredible Fijian Hospitality, and the opportunity to do some really good diving. The Nai'a offers divers the opportunity to do a lot more dives and go to sites that are remote and pristine. Most of all being on the move allowed the Nai'a the opportunity to select sites by the tide schedules. Many of the land based operators dont have that luxury and have to follow a more rigid time schedule. For me it comes down to this - if I am traveling with my family I will go to a land based resort where we can all have fun. 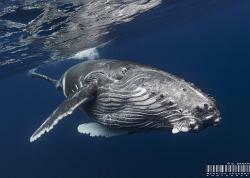 If I am traveling with other divers and photographers, I will go on the Nai'a. For that reason I am glad they have a frequent divers program. Simply put, they give discounts to those that have been on the boat before. The more trips you have been on, the more you save. Just to be clear, I paid for my trip and am not employed by the Nai'a. I am not obligated to say nice things. The truth is they deserve accolades for what they do because impressing me is hard to do. I am a bit tainted having worked and traveled on many dive boats. My expectations are for a well organized boat and a crew dedicated to making each trip the best it can be. I was not disappointed, and I cant wait to go back! Dive travel - should you choose a resort or liveaboard? Submitted by smb2 on Thu, 2010-07-15 18:09. Best dive trip of my life was on the Naia. Never did get used to the Kava though. You just made me want to go back. Submitted by douglasjhoffman on Mon, 2010-07-19 14:22. Your not the only one that has said they want to go back. 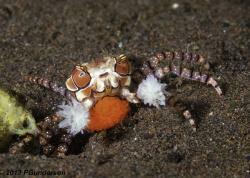 Perhaps the time is right to organize a trip for us like minded divers. Thankfully the boat has a return diver program that repeat clients can save a few bucks.